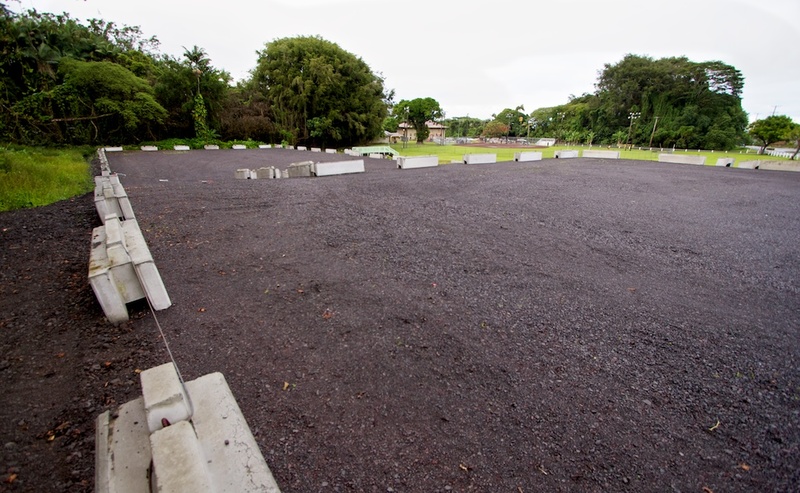 The County of Hawai‘i Department of Parks and Recreation announces that on Thursday, Aug. 16, it will reopen the recently constructed upper parking lot at Hilo’s Gilbert Carvalho Park. Located mauka of the park’s baseball field, the new lot provides nearly an acre of safe, off-street parking for the public’s use. It features a paved entranceway and two levels that more than double the number of parking spaces while providing great viewing areas to watch games. The smaller, front portion is scheduled to remain open continuously, while the larger, rear portion will be available upon request for special functions held at the park. County crews performed the driveway paving and striping work. The gravel lot is part of approximately $890,000 worth of upgrades that have been made to Carvalho Park’s facilities since renovations were started last September. The Department of Parks and Recreation wishes to thank park users and the public for their patience and understanding while the driveway-improvement work was occurring.